Home » Almighty God , God. , Holy Spirit , last days » How Should We Welcome the Return of the Lord Jesus? Nowadays, all the believers in the Lord are expecting the Lord Jesus’ second coming to bring man into the kingdom of heaven. Especially when people reading the scripture Acts 1:11, “Which also said, You men of Galilee, why stand you gazing up into heaven? this same Jesus, which is taken up from you into heaven, shall so come in like manner as you have seen him go into heaven.”, they think that the Lord left on a white cloud, so he will surely return on a white cloud. Thus most people just wait for the return of the Lord Jesus passively. But over more than two thousand years have passed, man still hasn’t seen the Savior coming with clouds. In recent years, whenever I see the disaster is greater and greater and the church becomes more and more desolate, I couldn’t help looking up to heaven and crying out to the Lord, “O Lord! Nowadays various signs of the last days have already been fulfilled, but why have we still not seen your return?” With the passage of time, I began to doubt: Is it truly after God’s heart that we wait for God’s coming so passively? Then how shall we welcome the return of the Lord? knew the Lord Jesus was the coming Messiah from His words and works, and then followed Him and thus received the salvation of the Lord. Those facts enlightened me that man must have a heart of thirsting for and seeking God, and only from God’s words and works can we know the return of the Lord. Later, I investigated the end-time work of Almighty God—the returned Lord Jesus. I read Almighty God’s words, “Since Jesus departed, the disciples who followed Him, and all of the saints who were saved thanks to His name, have been desperately pining for Him and awaiting Him. 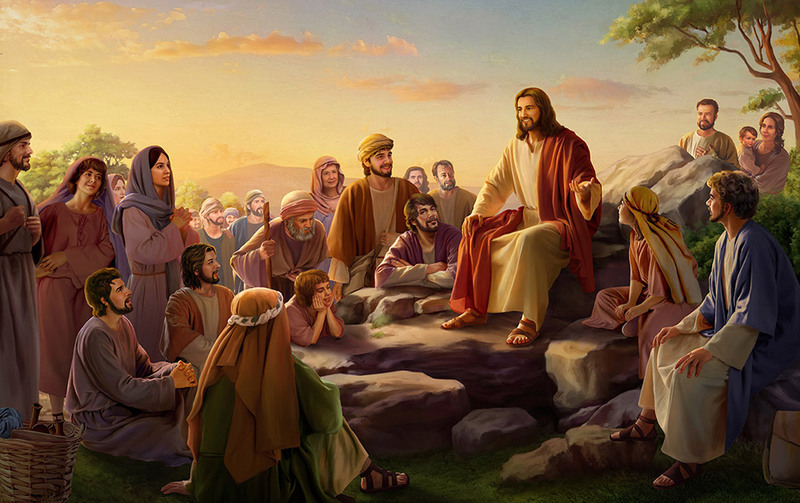 All those who were saved by the grace of Jesus Christ during the Age of Grace have been longing for that joyful day during the last days, when Jesus the Savior arrives on a white cloud and appears to all men. Of course, this is also the collective wish of all those who accept the name of Jesus the Savior today. Throughout the universe, all those who know of the salvation of Jesus the Savior have been ‘desperately yearning for’ the sudden arrival of Jesus Christ, to ‘fulfill’ the words of Jesus when on earth: ‘I shall arrive just as I departed.’ Man believes that, following the crucifixion and resurrection, Jesus went back to heaven upon a white cloud, and took His place at the Most High’s right hand. Similarly, man conceives that Jesus shall descend, again upon a white cloud (this cloud refers to the cloud that Jesus rode upon when He returned to heaven), among the mankind who has desperately yearned for Him for thousands of years, and that He shall bear the image and clothes of the Jews. After appearing to man, He shall bestow food upon them, and cause living water to gush forth for them, and shall live among man, full of grace and love, living and real. And so on. Yet Jesus the Savior did not do this; He did the opposite of what man conceived. He did not arrive among those who had yearned for His return, and did not appear to all men while riding upon the ‘white cloud.’ He has already arrived, but man does not know Him, and remains ignorant of His arrival. Man is only aimlessly awaiting Him, unaware that He has already descended upon a white cloud (the cloud which is His Spirit, His words, and His entire disposition and all that He is), and is now among a group of overcomers that He will make during the last days.” (from The Word Appears in the Flesh) From Almighty God’s words I understood that the Lord has already returned “upon a white cloud.” He doesn’t forget us, but instead quietly works among man and utters His words to save man. And I also knew that the “white cloud” doesn’t refer to the white cloud in the eyes of man, but refers to His Spirit, His words, and His entire disposition. It is because people don’t understand the substance of “white cloud” that they just pay empty tribute to the literal meaning of the scriptures. From that we see the thoughts of God are always higher than those of man. What we understand is just from our imagination, and is far from the fact God is to fulfill in His work. 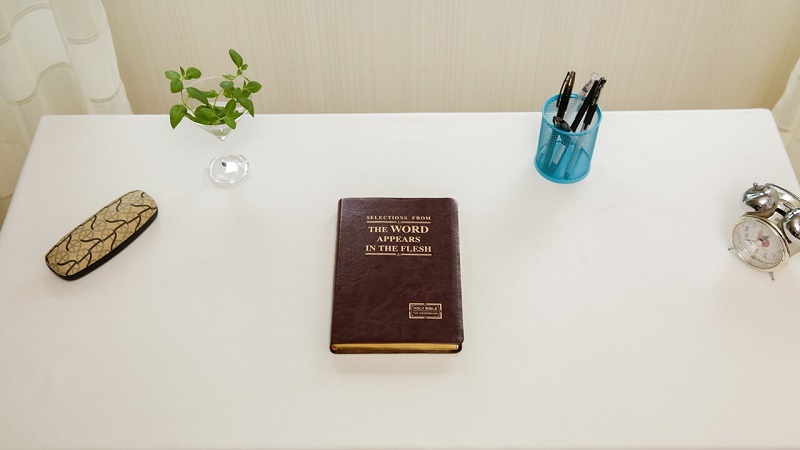 And later I read Almighty God’s words, “The way of life is not something that can be possessed by just anyone, nor is it easily obtainable by all. That is because life can only come from God, which is to say, only God Himself possesses the substance of life, there is no way of life without God Himself, and so only God is the source of life, and the ever-flowing wellspring of living water of life.” “God Himself is life, and the truth, and His life and truth coexist. Those who are incapable of gaining the truth shall never gain life. Without the guidance, support, and provision of the truth, you shall only gain letters, doctrines, and, moreover, death.” “Christ of the last days brings life, and brings the enduring and everlasting way of truth. This truth is the path through which man shall gain life, and the only path by which man shallknow God and be approved by God. 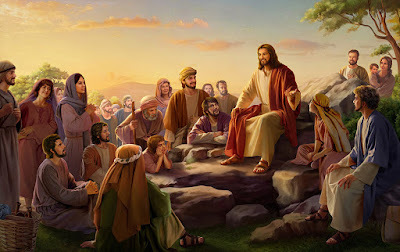 If you do not seek the way of life provided by Christ of the last days, then you shall never gain the approval of Jesus, and shall never be qualified to enter the gate of the kingdom of heaven….” (from The Word Appears in the Flesh) Almighty God’s words tell us: God is the source of all life and the embodiment of the truth. Man shall not gain life if he is incapable of gaining the truth. This reminded me of the verse in John 14:6, “Jesus said to him, I am the way, the truth, and the life: no man comes to the Father, but by me.” After investigating carefully, I became certain that the source of Almighty God and the Lord Jesus is the same. Almighty God is actually the returned Lord Jesus!